Copyright: Entrants grant to Oakwood Asia Pacific Ltd., Corporate Traveller, and its campaign partners the right to use and publish their images, captions and proper name online, in print or in any other media in connection with the Contest. 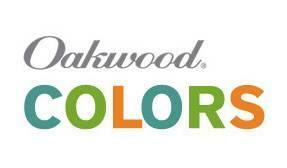 Oakwood launches an interactive contest for its Colors Campaign – What’s My Color Contest. The objective of this contest is to introduce the new colors of Oakwood serviced apartments in Asia to our customers. Participants are invited to choose one of the 3 new brand colors and share what the color means to them. What does it represent? What feelings or past experiences does it conjure up? Online submission of digital photographs via the website. A winner will be announced on the last week of every month, from previous months’ entries (last winner announcement will be by October 7th 2013). Image requirements: up to 5 Mb in file size. Judging criteria: relevance to the theme and creativity.